Getting insurance is one of the most important things in life that you should definitely consider. There are different insurance types available for you today such as car insurance, travel insurance, etc. 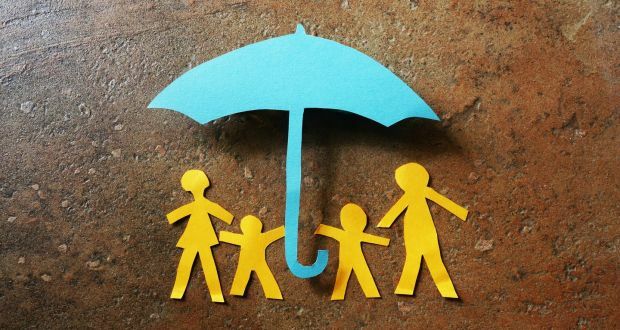 However, one of the most popular types of insurance is the life insurance as most people think that this is something much more of a necessity than the others. Life insurance is a kind of insurance that pays out a certain sum of money in the event of death of the insured person or after a certain period. Most people seek this insurance because they find it practical especially if they have children or they are married. This helps them secure and protect their families in the long run. As you know, insurance types are pretty much the same and generally, they are here to protect you or your other properties and assets. There are a lot of insurance companies out there today and this can be very overwhelming for you. You might have heard some insurance companies who have shut down and are facing some cases because they can’t return the investments of their clients and this may have scared you already. That is why it is very important that you take into consideration a couple of things in order to ensure that you are getting the best insurance from a reliable insurance company. In this case, let’s talk about life insurance as this is the most basic insurance type that people get. What are the things that you should consider here? Funeral insurance – this pays a certain amount of money that will help cover the costs of a funeral or anything that arise in the unfortunate event of your death. Life insurance – this will provide a larger amount of cover and is paid out in the event of your death or terminal illness with a life expectancy of less than 12 months. The above insurance products have specific eligibility criteria, limitations and exclusions which are detailed in their respects product disclosure statements from the specific insurance company that you will hire. That is why it is necessary that you read and understand this before you get insurance. Another thing that you should consider is that you should be 100% sure about the level of cover that you need. You see, everybody’s situation is different so what works for someone might not work for you. With this, there are some things that you should think about when thinking about the level of the coverage that you need. Family – do you have your family that relies on your income and how much income would be needed to sustain your family’s lifestyle if you were unable to work. Debt – do you have a mortgage or any other debt that would need to be serviced even if you were unable to work or at the event of your death? Medical bills – if for example, you become ill or injured and you can’t work, you might also incur medical bills; will you be able to pay your bills while you’re out of work? These are some of the things that you should consider when it comes to making a decision of the level of the coverage that you need. Every insurance has its specific policy and it is very important that you are aware that there are no industry-wide standards for a life insurance product so a life insurance product from a certain insurance company will not be the same as one from another insurance company. That is why it is very important that you pay close attention to the exclusions section of the PDS and the definitions of cover to ensure that you know the conditions you need to meet to be eligible to make a claim. A lot of people question whether their coverage can cover everything that they need, that is why before you get a life insurance it is really important that you double-check and read thoroughly the product disclosure statement and make sure that you understand when you will and won’t be covered. If you don’t pay your premiums even if it’s because you are disabled and unable to work, your life cover will lapse. So you have to know if your insurance company has the same rule. At the same time, during the first 24 months from the commencement of the policy of the last reinstatement of the policy, the funeral or death benefit is payable only upon death due to an accident. These are some of the examples that you will encounter on your PDS that is why you really have to be clear about all of these before you sign the deal with an insurance company. You want to make sure that you will be covered for everything that you need because that is the whole point of it. Insurance policies come in different prices, which is why it is essential that you figure out how much you need so that you can purchase the right mount of coverage for you. And because of this, you have to think about your expenses and this includes the debts that you have because your loved ones could be left paying these debts in the tragic event of your death. You have to figure out how much money would enable your loved ones in order for them to be able to keep up with their lifestyle even when you’re gone. Also, you have to appoint a beneficiary as well to receive the insurance benefits in the event of your death and this is very important. Most married couples choose their spouse or their children as their beneficiary but the decision is completely up to you. Make sure that it is someone that you trust and are comfortable with. You may even want to discuss it with your beneficiary ahead of time in case you want him or her to do anything particular with the benefits. As mentioned above, there are a lot of insurance companies out there so it pays to do some research before you commit to one. Find out what their policies cover and if there are any restrictions or exclusions. Get recommendations from family and friends, do some research online and call the companies directly to find answers to all of your questions and once your questions are answered; you have to make a decision. It is also very important that you know the process of how benefits will be paid in the event of your death to give you peace of mind. That is why you need to ask the insurance agent to go over the whole process and policy thoroughly with you. Make sure to ask for clarification for things that you don’t fully understand because insurance policies can get complicated especially if you don’t take the time to thoroughly understand the policy that you wish to sign up for. Keep in mind that insurance is not something that you can easily sign up for. It takes time and patience because there are a lot of things that you must understand. Having insurance is one of the best things that you can have especially a life insurance because this will give you peace of mind that whatever happens to you, you know that you will not leave your family with nothing because even if you’re gone you know to yourself that they will be able to live their lives as normally as possible. This is one of the best gifts that you can give to your family and one great way to show your love for them. In fact, even singles out there invest in life insurance because they know that it has a lot of benefits that their loved ones will benefit from in the long run. So, don’t hesitate to get yourself insurance, particularly this insurance and make sure that take into consideration all these things to guarantee that you will get the best insurance policy from a reliable and reputable insurance company. It is quite overwhelming to find an insurance company due to the fact that there are so many out there and there are a lot of agents who come up to you, offering you insurance. It is always best that you sit down with an insurance agent in a formal setting, in their office is the most ideal place to discuss these things and make sure that you observe the establishment because this will give you an inkling on how the company is and if they can be trusted. You should also stick to the big names for peace of mind as well to ensure that they will remain standing all throughout. P.S To those doing the 52 Week Money Challenge, it is Week 22 already! Did you deposit the next amount yet?